We always look for easy maintenance when it comes to organizing our home. We like to keep the house clutter-free because then our Mint and Roomba can do their jobs perfectly. There is no easy solution for dusting yet, but the least one can do is to minimize the dust in their house. 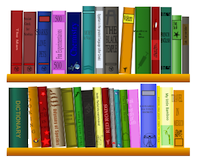 The natural way to do it is to keep books in bookcases that have glass doors, knick-knacks in display cabinets, and loose items in closets. 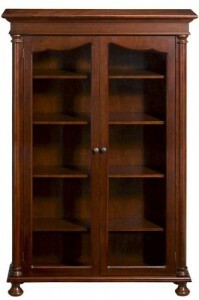 We visited many furniture stores looking for bookcases with glass doors but did not find a single one! Then we searched the web but for a long time did not find anything that was worth the risk of buying online. Finally, we found Home Decorators and the perfect bookcase in their Salem collection. We have 3 of them in our home office now. They keep the dust away so we don’t have to dust inside. They look great for the price. As with all furniture this size it takes time and some skill to assemble. If you have never assembled anything it might be wise to have someone else help you with the bookcase. It is always a risk to buy furniture off Internet but we are very happy with these bookcases. If this does not work for you there are a few more glass doors bookcases on Amazon. There are various curio cabinets on the market and in furniture stores. The designs vary from wall-mounted displays to large cabinets. Not all of them are well made, though. If you are not satisfied with the local selection and are planning to buy online, we would recommend the cabinets by Howard Miller. They are USA made and are of very good quality. The type shown here is perfect for filling corners. We bought it for one of our moms. She loves it and proudly displays her music boxes and art figurines. She finds the roller on/off light switch on the power cable very convenient. When we visit we always get to sit in the room with the curio and she turns the lights for us. The illumination is very good and we enjoy looking at her collection.